The study of eastern screech owl facts leads us to determine the difference between a typical owl and an eastern screech owl. 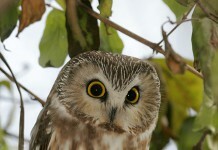 Basically it is a small owl which is widespread in the Eastern part of the North America including Mexico and Canada. The length of an adult owl is about 16 – 25 cm (6.3 – 10 in). These species weigh around 120 – 244 g (4.3 – 8.6 oz). 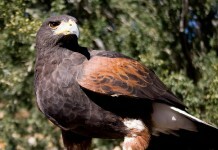 These birds have a brown-rusty king of a plumage with some exceptions of red color too. They tend to camouflage themselves in the trees by sitting like a rock solid. 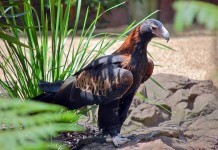 These birds have a very short tail; however, the wings are longer as compared to its body. Like other owls, these species have prominent ears but with yellow eyes. Some of these species are also visible in pale grey color in most of the places of Northern Canada. Generally, they find their nests into the trees. However, sometimes left out nests by other birds like woodpeckers, also becomes the habitat of eastern screech owls. While mostly they build nests in the trees, these owls are very fond of inhabiting in the wooden boxes. One of the unique features of these species is that they don’t often build their nests. The females lay eggs on the layers of left over feathers from previous meals. Normally, the breeding pair comes back to its original nest or breeding place after a period of one year. The females lay eggs after every two days. The female owls tend to incubate (keeping warm) eggs one by one. The incubation period lasts for 25 days. The chicks come out of the eggs after 1 month. Mainly, females are responsible for incubating eggs; however, males also help them out in this process. While females are engaged in breeding, males are usually held accountable for bringing the food for them and their chicks. Unlike other owl species, these birds are commonly found in the residential areas at night since these are highly nocturnal. The sounds they produce at night are almost overlooked and intermingled with other sounds. When the breeding season arrives, these vocals enhance to a greater extent at night. Under captivity, the lifespan of eastern screech owl is up to 20 years. However, wild screech owls are not lucky enough to survive that much longer. The young owls are observed to live longer in comparison to the adults. It is estimated that about 70% of the survived screech owls are young. 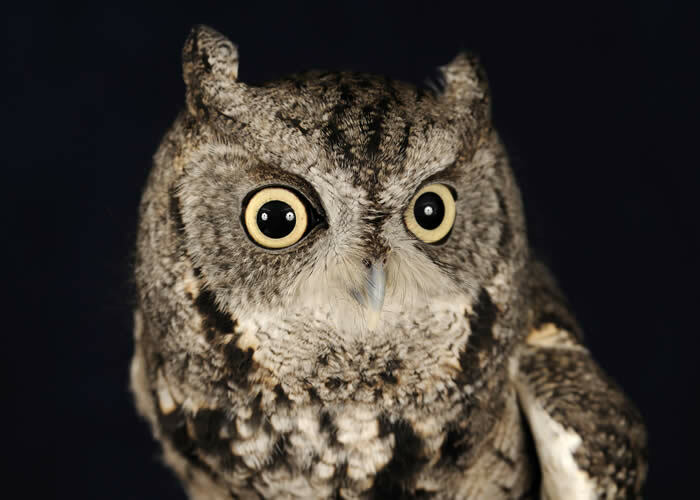 Eastern screech owl facts disclose the following predators of these birds. Open woodlands, forests, and riparian woods are some of the ideal places of these owl species. 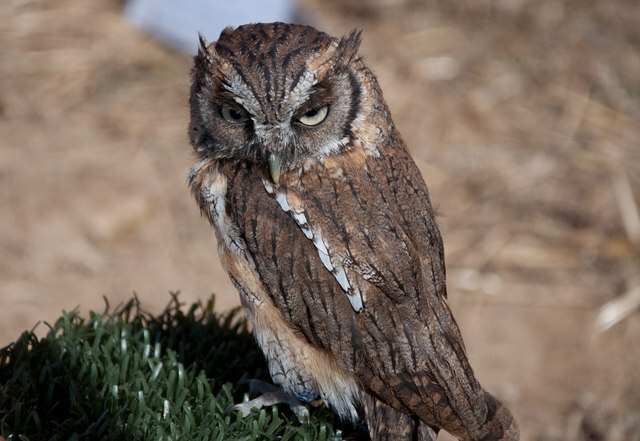 Eastern screech owls stay away from places where larger owls like great horned owls are the frequent visitors. 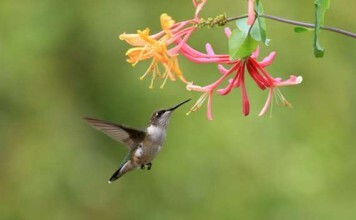 The habitats, in which they live, are mostly built naturally and not by themselves. These owls are opportunistic hunters. They normally hunt in the initial hours of the darkness. They have a sharp vision and exceptional listening power. These birds can swallow small preys like insects, while the greater preys are eaten bits by bits. Eastern screech owls basically eat small invertebrates such as beetles, moths, grasshoppers, crickets, cicadas, spiders, earthworms, snails, scorpions. Apart from the insects, few small sized mammals also become the essential part of their diet; these mammals include rabbits and shrews. These are especially needed during the cold days of winter. Other preys include small rodents, rats, squirrels as well as mice that constitute almost 70 % of their diet. When it comes to the avian victims, small birds such as sparrows and warblers supersedes the rest. Other preys include pigeons, lizards, ruffed grouse, snakes, fish, small turtles, and salamanders.